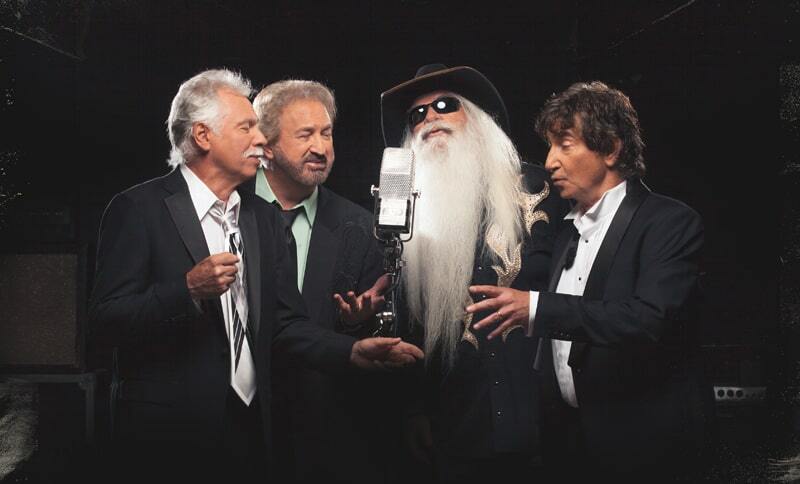 This Sunday, March 10, I highly recommend you go see the legendary Oak Ridge Boys at the Paramount Theatre in Rutland. The Oaks, as they’re also known, are an American country and gospel vocal quartet. The lineup consists of Duane Allen (lead), Joe Bonsall (tenor), William Lee Golden (baritone) and Richard Sterban (bass). They’ve been performing together since 1973. They’re probably best known for the 1981 hit “Elvira” with Sterban doing the famous chorus “Oom poppa, mow-mow,” but they have 17 number one hits and have recorded 31 studio albums with close to 50 albums in total. The guys are all big baseball fans and Allen, from Texas, is a huge Red Sox fan (smart man). At 1 p.m. before the Rutland show, they’ll be performing the National Anthem at Fenway Park. Sterban said they’ve arranged their version of the anthem as more of a sing-a-long. “The National Anthem should not just be a performance. It should be a celebration of everyone singing it together,” he said. It truly was an honor to interview Richard Sterban. He was so nice and his stories were incredible. I’ve interviewed many people who have told me that Elvis and Johnny Cash were influences of theirs, but never have I interviewed someone who sang with both of them. They say that membership in the Grand Ole Opry remains one of country music’s crowning achievements, and The Oaks achieved that in August 2011. Sterban said, “When we were inducted in, that was very special. What’s even more special than that is being inducted into the Country Music Hall of Fame in October 2015. That had a lot to do with us getting together with Dave Cobb [producer] and doing this latest project, ‘17th Avenue Revival.’ That is what we’re most excited about right now.” The album only came out two months ago and is doing very well with rave reviews from many industry heavyweights. After The Oaks got in the Hall of Fame, they wanted to do something special. Sterban said, “We got together to figure out what we could do to commemorate the fact that we are now Hall of Fame members. We figured if we could get together with Dave Cobb, that would be a great way to celebrate this.” Cobb is one of the hottest producers in Nashville and works with many of the country music greats. The Oaks last worked with him eight years ago on “The Boys are Back,” and the title song was written by Shooter Jennings, who is Waylon Jennings’ son. Sterban added, “On that project, Cobb took us down roads musically that we had never traveled before. It turned out to be a very special project. We reached out for this and he said he would love to work with us again but we had to kind of get in line because he works with so many people. A year later he called us and said he’s ready to work now.” He wasn’t concerned with getting them on country radio because it’s not playing them now. He wanted to make something monumental; something very special. Sterban likes the way it came out. He said, “There’s very few bells and whistles. It’s very simple and not very computerized. We kept the tuning to the bare minimum. He told us we’re the only guys he knows that can get around one microphone in a recording studio and make it happen. A few of the songs were only recorded with the four Oak Ridge Boys, Dave Cobb and his guitar around one microphone right there in the center of RCA Studio A on Music Row. It has that raw, earthy, live feeling. We love the creative process of going into the studio and creating new music. That puts new life and new energy into us and into our show.” They’ve been able to create new music that is relevant to the current country music marketplace. It was Cobb’s idea to name it “17th Avenue Revival.” Sterban said, “The title has multiple meanings. It talks about the revival of the soul and the revival of the spirit. A lot of this music is touching people doing just that, but it also has to do with the revival of that old studio.” RCA Studio A is probably the most historic recording studio in Nashville. They were going to tear it down and build condos. The Oaks and many other musicians signed a petition and saved the studio. Cobb moved into it, and does all his recording there. Some of the greatest names in country music have recorded there, like Dolly Parton, Hank Williams and Elvis. Sterban added, “For us to do our project there in that old studio was very special. This album is affecting people in a very good way.” They accomplished their goal getting Cobb, and working with him has given them a great deal of credibility, since he’s the guy that’s happening now in the country music business. Sterban highlighted some special songs on the album. “A Brand New Start” is probably the happiest song you’ll ever hear about someone dying. It talks about a new start in heaven. “We’re all getting older and have to deal with deaths more frequently. A very good friend of ours just passed, Barbara Bush. This song is giving people comfort with death in that difficult time in their lives. ‘Pray To Jesus’ is a clever, happy, catchy song with the Dave Cobb treatment. It said ‘Pray to Jesus and play the lotto.’ People are really taking a liking to it. There’s some songs we grew up singing as kids in church like, ‘I’d rather have Jesus’ and ‘Where He Leads Me I Will Follow.’ It’s gospel, but it’s different, thanks to Cobb.” It’s not just their older fans digging it; their younger fans are into it, as well. It’s amazing to me that song has resonated all these years. It came out almost 40 years ago and is still a hit today. That goes to show how special The Oaks are to country music. Sterban said, “A lot of people have recorded that song like Little Big Town and a cappella group Home Free. It’s still a very special song.” This next story from Sterban amazed me. The song was written by Dallas Frazier back in the early 1960s and up until a few weeks ago, he had never seen them perform it. He attended their show at the Country Music Hall of Fame and got to see it performed for the first time. One day Sterban got a call from Golden telling him that their bass singer was leaving and wondering if he wanted the job. Sterban said, “Here I was singing with Elvis, apparently on top of the world, and I had to make a decision. I was a fan of the Oak Ridge Boys and felt they had a great deal of potential and I wanted to be a part of that. It was a very tough decision that I made but I’m very glad to have had that time with Elvis. A lot of people questioned it, but I really believed in my heart I was doing the right thing. Time has proven I made a pretty good decision. Since joining them, so many great things have happened to me personally and to all of the Oak Ridge Boys. Sterban said there is only one other person he’s met that had that special magnetism and charisma of Elvis, and that’s his former neighbor, Johnny Cash. Sterban said, “When he walked into a room, he commanded the room. There would not be an Oak Ridge Boys today if it weren’t for Johnny Cash. He took us under his wing and he really helped us out. We were a struggling group and he made us a part of his show. We opened for him in Lake Tahoe, Las Vegas and different places around the country. He paid us more money than we were worth at that time. We had a contract for a set amount and he would always give us a tip on top of that. More than the financial help was his words of encouragement. One day I’ll never forget is when he called us up to his room before our show in Las Vegas. He said, ‘Your heads are hanging and I can tell you’re discouraged. I want to try to encourage you. There is something really special about you guys, but if you give up now, no ones ever going to know about that. You will never be able to realize your dreams. I want you to find a way to stay together. I promise that if you do, good things will start happening. Don’t give up, don’t quit, keep doing it. You guys are special, I know it, no one else knows it right now, but if you stay together, people will start knowing about you.’ We walked out of that meeting with our heads hanging up high. If Johnny Cash thinks we’re going to make it, then we are going to make it.